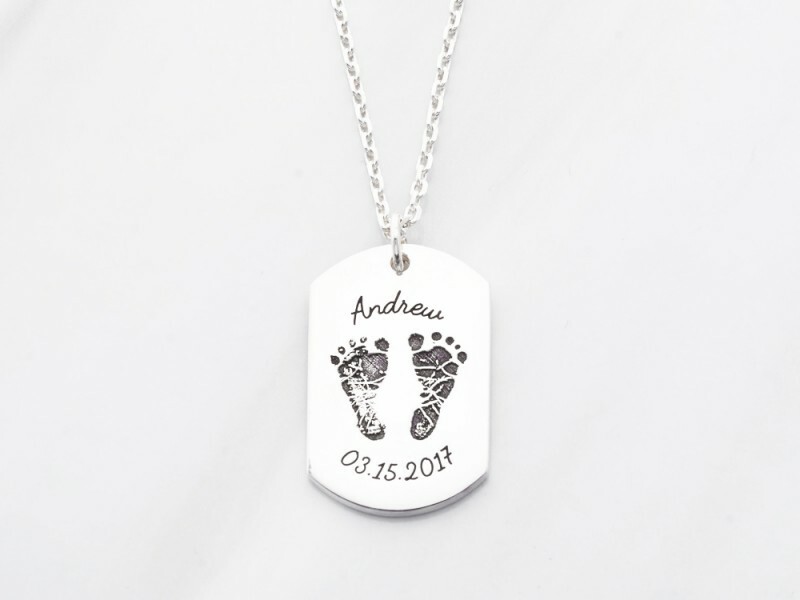 Your husband can't get enough of the baby? 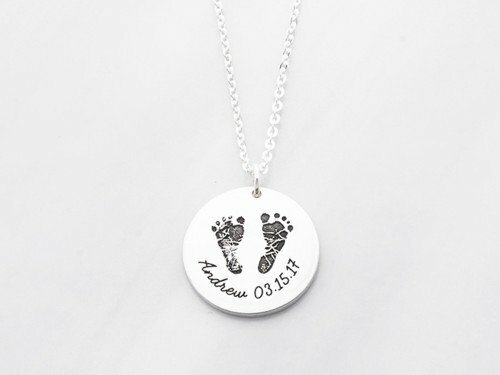 This baby footprint necklace for men will let your husband or partner show off his daddy pride and carry your child with him always. 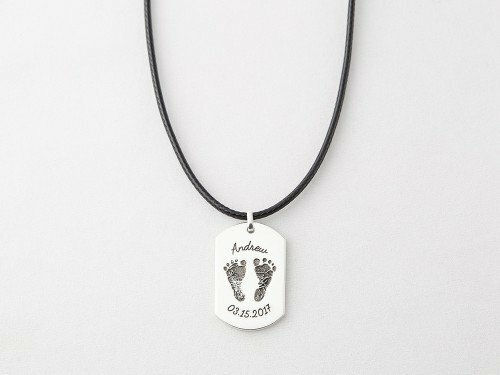 Finished with a masculine touch, this sterling silver necklace can be personalized further with name or birthday. 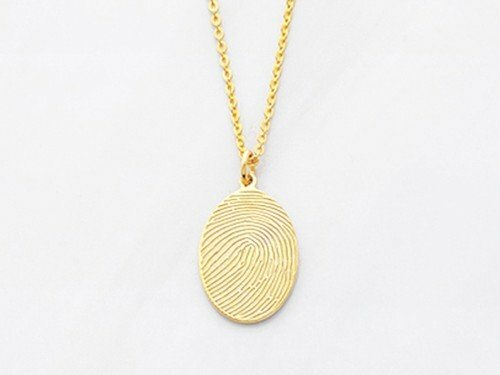 - You could add 1 word or date on the top and the bottom of the fingerprint at no extra charge. Leave text box blank if you do not want any word. 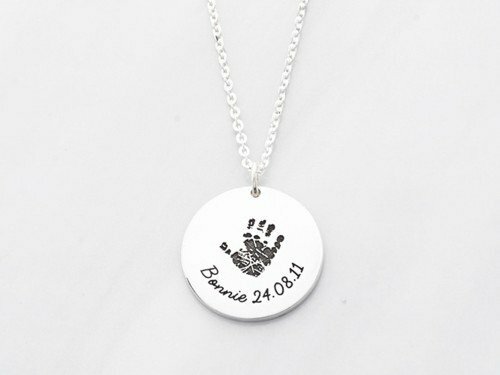 Measurements Pendant measures approx. 1/2" x 7/8" (14x21mm). 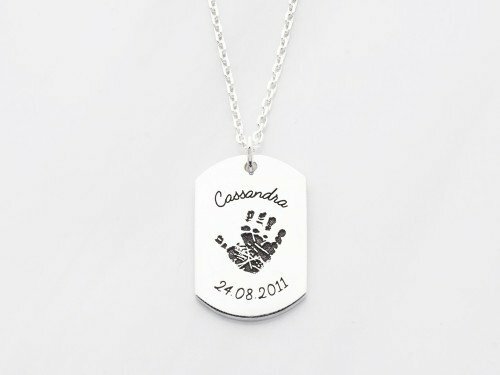 3Handprint / footprint image: File uploaded!